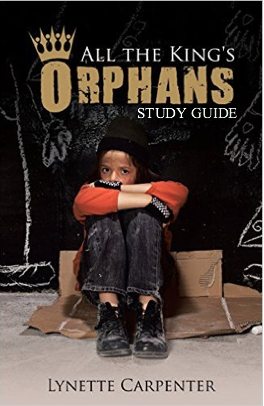 Coming Soon - All the King's Orphans Study Guide! Contact me if you are interested in more information as it becomes available. Pride is incredibly sneaky in that it can mask itself in humility – deceiving the very one carrying the spirit of pride. For example, pride is what causes us to look at our failures and our sins and determine we have no redeeming quality – that our sin is too great for God to forgive. Stop and consider the arrogance of that belief. How inappropriate for us to determine the measure of power that lies within the blood of Jesus. How offensive that must be to our Abba Father. When so great a sacrifice was made by His Own Son – how audacious of us - frail humanity… how conceited of us to compare our sin to His redemption… and then tell Him that He came up short. Brothers and Sisters – this is not humility – it is pride.